VallartaJoySM Luxury Vacation Rentals was born out of our love for the people, sunsets, beauty and beachfront vacation home lifestyle we discovered along the western Mexican Riviera. We spent more than 10 years traveling for business and pleasure always making side trips to explore resort areas in search of an oceanview paradise of our own. We looked on 3 continents and finally decided we preferred to be within easy flying distance and where the people were as warm as the year-round temperatures. Being away from “Hurricane Alley” was also a key consideration. 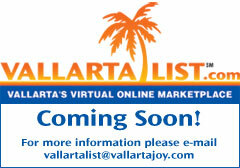 When we discovered Vallarta, we ended our search. Vallarta is our slice of Paradise. We want our guests to enjoy it as much as we do. We are a US professional couple (corporate attorney and engineer) and have managed our own portfolio of properties throughout the US and Puerto Rico for ourselves before we bought our beachfront oceanview condo in Vallarta. We love the ease of ownership and the wonderful warmth and professionalism of the staff who work at our condo buildings. We rented out our homes occasionally and other Owners were interested in doing the same, but had no idea where to start. We started out offering a consulting service on the “ins and outs” of purchasing property in Mexico. Several of those clients asked us to manage their rentals for them, so we decided…why not? We formed a business and the rest is history. We outperformed our own and our Clients’ expectations the very first year. Our business grew principally from Owner and real estate agent referrals. It continues to grow today as we manage over 70 seasonal and long-term properties worldwide. Our Owner Clients and renter guests hail from around the globe: US, all over Europe, Canada, Mexico, Australia, and New Zealand primarily. Our internet marketing and numerous websites generate many of our leads, but most of our business is repeat guests and former guest referrals. Because we carefully select our guests, they treat our Owners’ and our own homes with respect and care. The profile of our renter guests varies, but includes business owners, CEOs and corporate officers, accountants, retirees, or soon-to-be-retirees, families, honeymooners and many others. Our homes are not venues for “spring break” rowdiness or underage guests. Guests who stay with us are looking to escape it all or to engage in a variety of watersports, golf, fishing, spa boating, or adventure activities with their family or friends in a clean casually elegant secure surroundings. A key factor to our success is our warm friendly professionally trained private concierges who greet each guest and perform a variety of check in/out procedures and a guest orientation. They do not try to sell guests anything. (Many Mexican destinations are known to be swamped with timeshare solicitors around every corner.) Their sole purpose is to help us help renter guests have a terrific vacation. We hope you enjoy your vacation experience with us.